Change One Life. Change the World. The deadline to apply to the Master of Arts in Teaching program has been extended. Apply now for the summer 2019 cohort. Few professions have the potential to impact lives like teaching. Our nationally-accredited, cohort-based teaching program offers degrees in elementary and secondary education, as well as coursework to support continuing learning and accreditation. Teaching faculty focus on instructional strategies and methods, best practices, research-driven theory, practical experiences and prepare teaching candidates for an Oregon Preliminary Licensure. You'll step into the classroom by your second term. Our graduate teaching program is a partner of choice for local schools. We use the co-teaching model at OSU-Cascades. Our student teachers take an active role in the classroom, teaching daily lessons with support from the classroom teacher. And our students share the latest techniques they learn at OSU with veteran teachers. Our students score 10%+ higher on the national licensure exam. 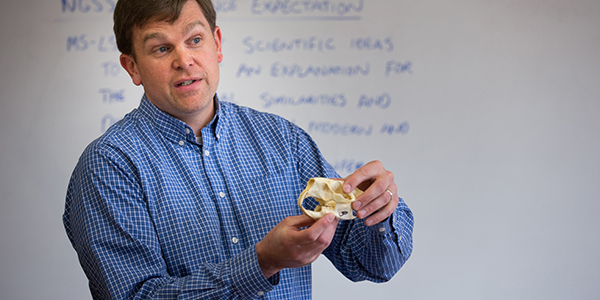 Our research and teaching faculty bring current theory and practical knowledge. 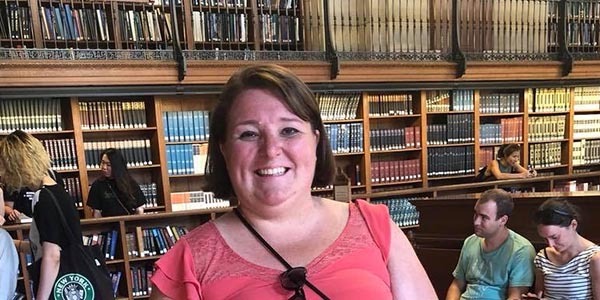 Jessica Colburn '12 was recently named the 2018 Oregon Social Studies Teacher of the Year. Researcher Mike Giamellaro knows that teaching STEM (science, technology, engineering and math) subjects is a priority in K-12 schools. His recent study on STEM coaching appears in Teaching and Teacher Education. Giamellaro's team presented an intervention in which a STEM coach helped teachers implement STEM learning throughout a school district. The coach connected teachers to resources, provided teaching guidance, and helped teachers plan creative ways to teach STEM. It turns out that in schools, as in sports, a coach can make a big difference. Our graduate teaching program focuses on instructional strategies and methods courses, best practices, research driven theory and practical experiences. Our coursework prepares the teacher candidate for preliminary licensure in Oregon. The program is 58-59 credit hours. 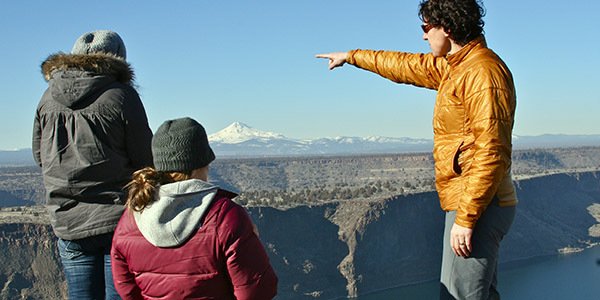 With a physical campus and modern classroom buildings, we are the only public university offering a site-based teaching degree in Central Oregon. Our exceptional in-classroom instruction uses a cohort model where students form strong bonds. The Master of Arts in Teaching application for the summer 2019 cohort is open. Complete the one-year, full-time program or two-year, part-time program. Cohorts begin each June. Enjoy on-campus living at OSU-Cascades. All room types are open to graduate students but many choose to live in a single room with a private bathroom, or with other graduate students in apartment-style suites. Contact Jordon Zardinejad, our graduate recruitment and program support coordinator.